Whether you have a low credit score because you made some financial missteps in the past or because you just haven’t established your credit yet, there are still credit card options available. One of the best is the Captial One Secure MasterCard. Because it’s a secured card, you have a much better chance of receiving credit approval, as Capital One doesn’t need to take the same risk it would with its unsecured cards. The Capital One Secured MasterCard has several helpful features that allow you to build your credit or rebuild credit responsibly. Learn more about how you can get it and its many benefits. Although the APR is higher than many credit cards, keep in mind that this card is intended for you to rebuild credit responsibly, not to carry around a balance for extended periods of time. For the best results, you should use it and pay off the balance in full every month. This will steadily build your credit. Since this is a secured credit card, it requires a security deposit. The initial credit limit is always $200, but the amount of your security deposit will depend on your creditworthiness. You may need to pay the full $200, or Capital One may require you to pay only $49 or $99. If your first five monthly payments are made on or before the due date, Capital One will automatically raise your credit limit, and it won’t require you to pay any more money towards a security deposit. You can get your security deposit back by paying off the balance and closing your card, but a better option is asking Capital One to refund the deposit and switch you to an unsecured card after you’ve demonstrated responsible use of this card. Capital One’s CreditWise service is a helpful tool to keep track of your credit profile. You can track your credit score with and make sure you’re on the right track. For auto rental insurance, travel accident insurance, extended warranties, and price protection, you must pay for those purchases with your Capital One card to qualify for the coverage. 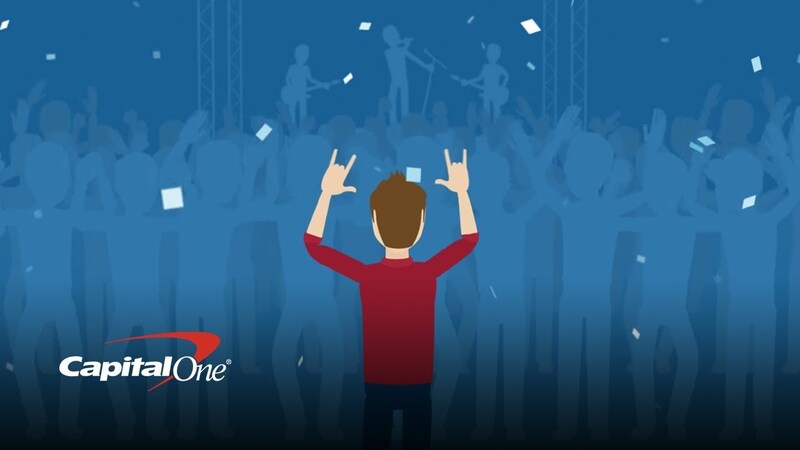 Through Capital One, you have $0 Fraud Liability in the event of a lost or stolen credit card. You won’t pay for any fraudulent purchases as long as you report the lost or stolen card in a timely fashion. Capital One allows you to select your payment due date and offers three convenient payment options – online, by mail with a check or at a Capital One location. There’s 24/7 customer service available by phone and through the Capital One mobile app. The secured Capital One Mastercard offers a deposit amount which is based on the remnants of your bankruptcy report. There is no interest applied to your deposit. You can be approved for interest-free deposits at $49, $99, or $200, this is your line of credit. After your minimum security deposit has been received, then your account is open for use. You can make partial payments towards your deposit amounts. The partial deposits must be at least $20 increments until your deposit goal. The secured Capital One Mastercard website provides a tab where you can make your partial or whole deposit. 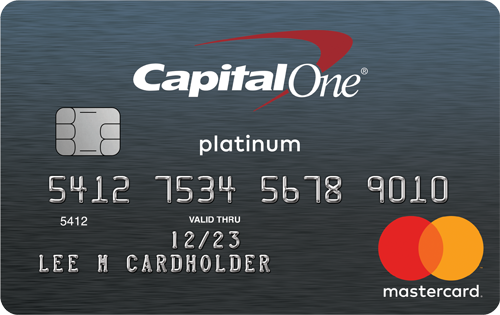 Capital One Secured Mastercard will also report your use of the card to the credit bureaus. As strange as it may sound, building your credit with Capital One Secured Mastercard helps because they report to credit bureaus. Why is this important? Because it helps to rebuild your credit if you are acting responsibly, this appears on your account in your favor and ultimately can lead to approval for a traditional secure credit card. Building your credit with Capital One Secured Mastercard is further helped by offering you a chance to increase your credit line, all without making another deposit. Capital One allows you to achieve a higher credit line if you faithfully make your first 5 monthly payments on time. By making unbroken payments, the secured Capital One Mastercard will continue to increase your credit line each year. When you have a bad credit score, there are ways in which you can improve your credit. Manage your credit score by paying down what you owe, check your credit for errors to make sure you are not a victim of identify theft and work on improving your FICO scores. If your credit has been interrupted due to a bankruptcy filing, there is still hope. Yes, your bankruptcy remains on your credit report for several years, but in the meantime, you can continue to manage your credit. After all, your credit score is a number that shows lenders how you are managing your credit. With patience and responsibility, you will recover from bankruptcy. There are no reward offerings nor cash-back rewards with your secured Mastercard. But you don’t really need this benefit, not when you are trying hard to rebuild your credit score. However, what the secured Capital One Mastercard does provide is “Credit Wise” tools to help you manage your credit rebuilding progress. On their website are financial tips to help educate consumers on how to improve their creditworthiness no matter how you got into debt. Applying for your secured Capital One Mastercard is as easy as going online to input your personal information, contact information, and financial information. As much as a secured card by Capital One is a card that the company wants to extend to consumers with bad credit, if you do not have a bank account, you will be turned down for a Capital One card or any credit card. Also, please read the terms and conditions, this is part of educating yourself and taking control of your credit with a Capital One secured Mastercard. The information provided informs you about making minimum payments, your eligibility and conditions on the use of your card, and answers to questions regarding the “Fair Credit Billing Act. Getting back on your credit footing takes all the help you can get. When taking control of your credit with Capital One Secured Mastercard, you are on your way to a better credit future, where you can buy real estate, attend college, and more. If you’ve decided this Capital One MasterCard is right for you, there are multiple application options available. The most convenient is going to the Capital One site and filling out an online application. You can also go into a Capital One location and complete an application with a representative there. Expect to provide all the standard credit card application info, including your full name, address, Social Security number, and current income. Capital One will run a hard credit check on you, but since this is a card intended for those who want to rebuild credit responsibly, a low credit score typically won’t disqualify you. After you receive credit approval and get the card, you just need to keep a few things in mind to build your credit. Using the card and then making your payments on time are the most important habits for a higher credit score. You should also keep your credit utilization under 30% at all times. That means when you first get the card and have a $200 credit limit, never let the balance get above $60. If you need to get control of your credit and you haven’t had any luck applying for other credit cards, this secured MasterCard through Capital One is an excellent option. After five months of using the card responsibly and making your payments on time, you can get a higher credit limit. More importantly, you’ll be raising your credit score. Taking control of your credit with Capital One Secured Mastercard is further helped by allowing consumers to personalize their monthly payment due date. This is extremely helpful if recovering credit consumers want to match having their payments to Capital One on the day they receive their paychecks or other forms of income. This is a smart partnership with Capital One that goes a long way in lessening any stress you may have about keeping your payments to the secured Capital One Mastercard on time every month.